JetElite Aviation will manage, track and keep your aircraft up to date with all of it's maintenance requirements. 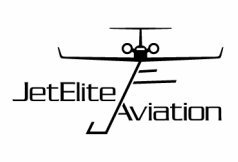 With JetElite Aviation, your aircraft is guaranteed to be maintained in a proactive manner to ensure your safety and that of your passengers is at it's highest level - every flight. Under this program, we will keep all logbooks, manuals, maintenance programs, and regulatory items current and up to date, while ensuring each maintenance task is completed with fidelity and integrity.